Nothing new I suppose, shadows are a familiar design device. 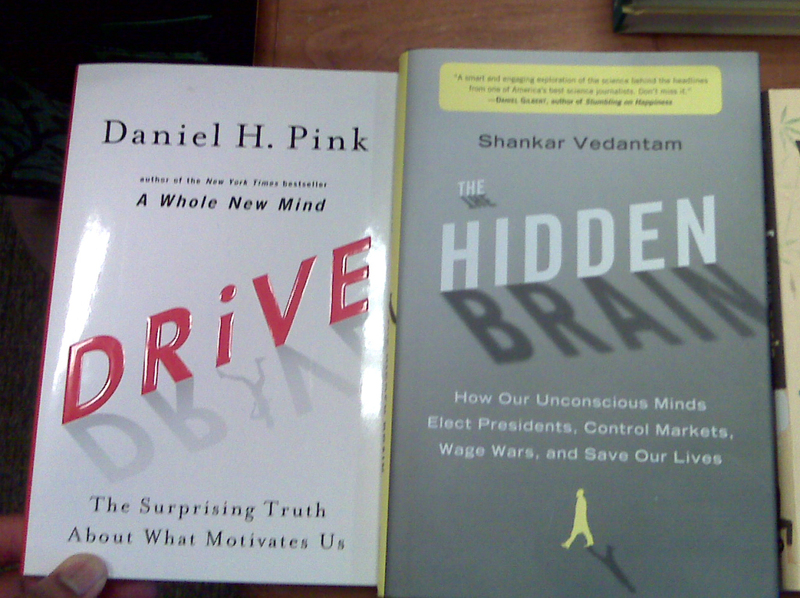 While checking out 2 books I’m interested in, Daniel Pink’s “Drive” and Shankar Vedantam’s “The Hidden Brain“, I noticed something. It seems their book designers both love using shadows. Nothing new I suppose, shadows are a familiar design device. It was just curious seeing it used by books right next to each other, especially since they’re both dealing with the inner workings of the human mind.